John and I love trying something new for date nights so we were really interested to see a new monthly subscription box available for couples! Just Us Box is a monthly subscription box including all the essentials to go on a themed date each month. The first box is available in July and is a 'stargazing' themed box. We're working together with Just Us Box to give away one of their first boxes just for you and your other half! Carry on reading to find out more about the box and how you can enter to win one! 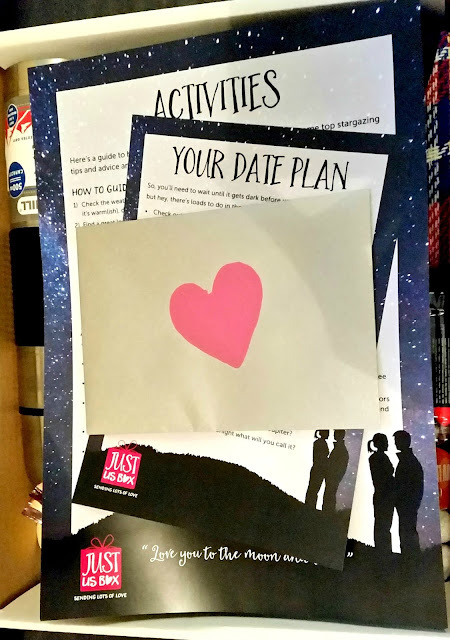 In each month's box you get a range of different things to help you with your date including a date plan, activities and challenges for you and your loved one to do during your date. If you like being organised like me, this will excite you and it also helps add a little structure and an aim for your date night - since it is themed! In the box you'll find some pretty lovely things! Just judging by what you're likely to receive in the first box, it looks pretty exciting. 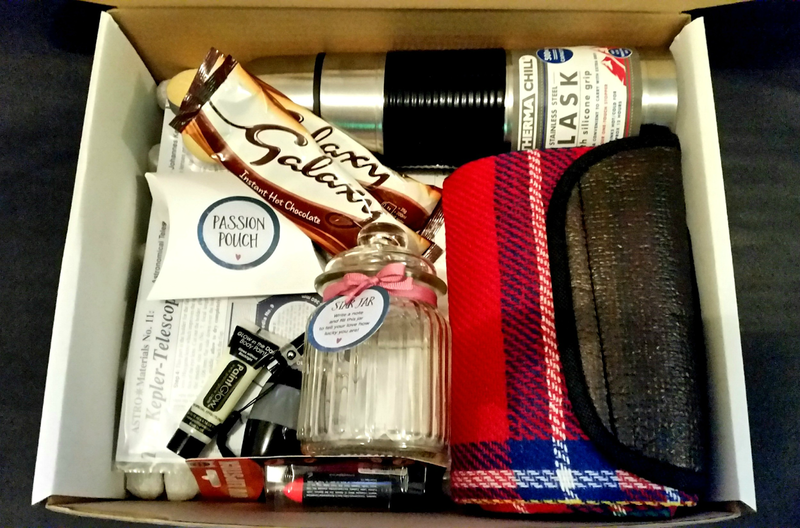 Above is a sneak peak of what you may find in your first box including a thermal flask, a blanket, hot chocolate, lipstick for the ladies, a torch, a passion pouch (this sounds intriguing), a star jar (this also sounds intriguing) and what looks like glow in the dark paint! I'm really looking forward to seeing this box and going on my stargazing date night with John! The lovely people at Just Us Box gave me a little extra information about how you'll be able to subscribe to the box and how much it may cost. At the moment there is a monthly, 3 month, 6 month or 12 month subscription starting from £35 for a monthly subscription, to about £25 a month for the 12 month subscription. I will stress that this is not set in stone right now! What can I expect inside the box each month? In the box you can expect an array of different things you'll need for that themed date. Each month will be a different theme and will include 4-5 things including things like food, drinks, challenges and activities and other products you will need to support you during your date. 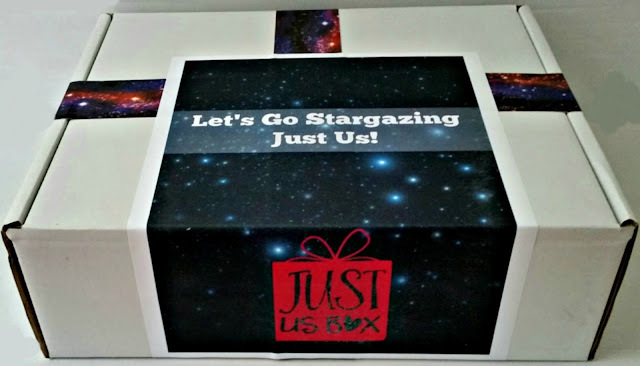 If you like the look of this box and you'd like to win one of Just Us Box's Stargazing themed boxes, all you have to do is follow THIS LINK and tell Just Us Box where you came from - What Cat Says Blog, and enter your email address! It's as simple as that! You have until the end of the day on the 30th June 2016 to enter. Just as a disclaimer: this same competition will be available for all my followers on Twitter too! Please keep in mind that the box doesn't launch until July so you'll receive it then when it becomes available! Here is the link again below in BIG and Good luck to everybody! Those boxes look awesome!! Great giveaway!